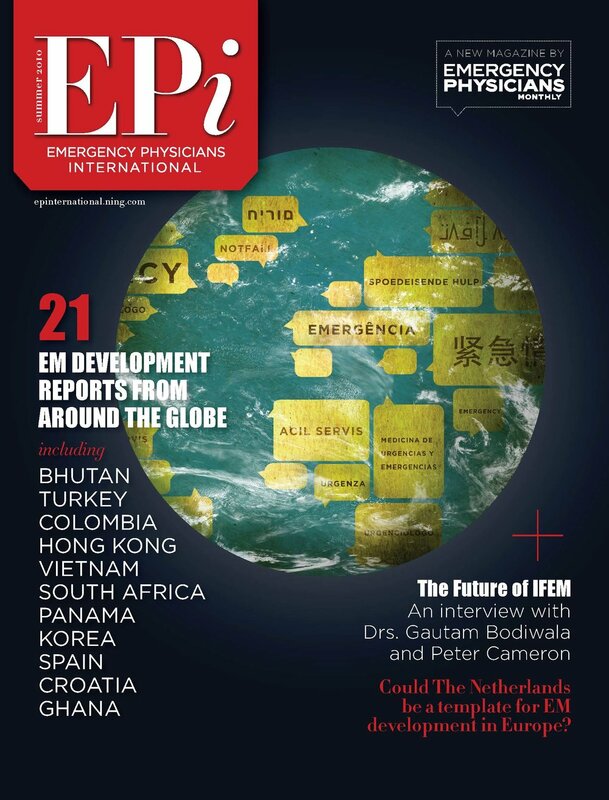 In the United States, over the past two and a half decades, pediatric emergency medicine (PEM) has become recognized as a medical specialty in its own right, establishing its own training programs, journal, board certification, and academic credibility. However there was a thirteen year gap between the recognition of emergency medicine and PEM as different and unique specialties. Understanding and identifying the specific needs of children is paramount as new emergency care and acute care settings develop. Latin America has an estimated population of 639 million people, spread over 20 countries extending from Mexico to the tip of South America and including the Caribbean islands. While multiple languages are spoken, Spanish, French and Portuguese dominate. In Latin America, in the last few years, there has been a surge in efforts to develop and expand the existence, recognition, and growth of PEM. Only recently has the need for specialized care for pediatrics in emergency settings been formally acknowledged. In November 2016, the first Latin American Pediatric Emergency Medicine Society (SLEPE for its initials in Spanish) was established in Uruguay, uniting close to 90 members from 14 different countries. During its first two years, SLEPE members participated actively in regional meetings such as the Brazilian Conference of Pediatric Emergency Medicine in Sao Paulo in May 2018, and most recently, in the 1st Latin American PEM Society (SLEPE) conference in Montevideo Uruguay in November 2018, which was attended by over 500 participants from 14 countries. Currently SLEPE has 170 members from 15 countries. SLEPE has developed 14 different working groups, each led by a regional expert (Table 1). SLEPE has also developed its research branch, “Network for Research and Development of PEM in Latin America (Red de Investigacion y Desarrollo de la Emergencia Pediatrica Latinoamericana RIDEPLA)”. RIDEPLA has made strides working with its sister organizations, PERN (the Global Pediatric Emergency Research Network) and PECARN (Pediatric Emergency Care Applied Research Network) in the USA. Members of RIDEPLA have presented abstracts and received awards at international meetings in Brazil, Spain, Mexico and Uruguay. They have also published manuscripts in specialty medical journals. SLEPE’s most recent meeting, attended by members from 12 different countries, highlighted “Realities, Challenges and Solutions” to establishing Pediatric Emergency Medicine in the region. Over the three conference days, leaders from Argentina, Chile, Paraguay, Brazil, Peru, Bolivia, Costa Rica, Colombia, Dominican Republic, Ecuador, and Guatemala discussed the current and future states of PEM in their respective countries. A variety of different stages of development were represented. Countries such as Argentina, Brazil, Uruguay, Dominican Republic, and Paraguay have specialties recognized by their governments, with formal training programs and certifications. Other countries with well recognized pediatric societies and work forces have yet to set the stage for PEM specialty development and recognition by academic institutions and political establishments. Barriers to the establishment of PEM identified at this meeting included a small and still developing PEM workforce with few applicants for specialty training, pay inequity, lack of investment by local institutions, asymmetric distribution of resources and positions, and interactions with primary care practitioners and other subspecialties. SLEPE plays a pivotal role as a means to network both at the regional and international levels. This society allows each individual country to complement each other’s strengths and to support each other as we work together toward recognition of PEM as a specialty in Latin America. Sharing knowledge and a framework to navigate interactions with other specialties, academic institutions and governing bodies, will help generate and maintain momentum for the development of PEM in the region. As regional emergency systems develop, enhancing pediatric acute and emergency care will generate systemic changes that will inevitably benefit the children of Latin America, ensuring that children receive the highest quality care possible.